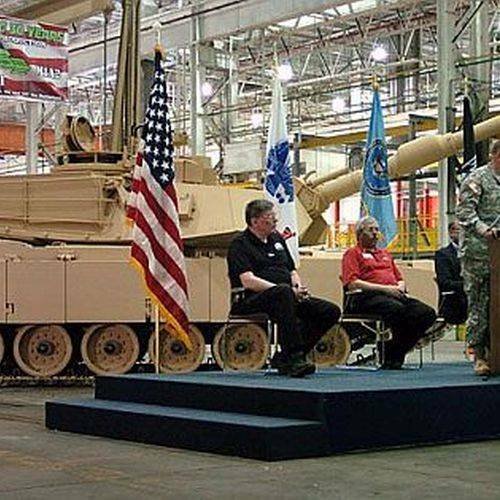 LIMA — An estimated $2.5 billion that the federal government authorized for the Abrams tank and Stryker vehicle has officials from the Joint Systems Manufacturing Center feeling good about the future of the facility. The additional funding, which equates to $695.5 million to modernize Stryker vehicles and $1.8 billion for Abrams tanks, was authorized under the Fiscal Year 2018 National Defense Authorization Act. The NDAA still needs approval from the Senate and House of Representatives, but that hasn’t stopped the JSMC from advertising jobs that will be needed to keep up with production. Since the funding was announced, the JSMC has recalled more than 40 workers who were laid off during a downturn in defense spending. But Kennedy said they need to hire new employees based on the increased workload. He said they are looking primarily for welders, but they are also seeking assembly line workers and skilled trades employees to help upgrade the facility. “I’d say, across the board, we are looking for just about everything right now,” he said, adding that it is unclear how many new employees they will need since the funding authorization has not been finalized. Kennedy said there are multiple ways to apply for the open positions, including monster.com and OhioMeansJobs-Allen County, but the best avenue is through the GDLS website at gdls.com. The new hires will add to a staff that has steadily increased in recent months. The workforce peaked in 2009 with some 1,200 people, but it dropped substantially in the years that followed to just over 400. Kennedy said they are now up to 600 and growing. Kennedy said he expects more than a dozen tanks will be produced at the JSMC each month. While it may not sound like much, he said it is far more than they were producing even two years ago.